Songs for a Season at Ghost Town Bridge is a combined CD and book of songs and prose poems. The songs and poems in the book are also presented as a CD album of sung and spoken word performances. All the tracks are one-take recordings of James singing / reciting and accompanying himself on acoustic guitar or mandolin. We meet the travelling showman, Crow Step Billy, eternally searching for his lost love Jenny, and whose horse can sing harmony and play the violin (Jenny's Gone for Rock 'n' Roll); That Kid Who Loves Birds, a well meaning Zen outlaw whose lost years in the methamphetamine trade have left him with a sorrowful, yet strangely hopeful, tale to tell (A Brand New pair of Riding Boots); and Fox Eye, one time trader in re-birthed cars, now hermit philosopher and dangerous stranger on the road (A Bad Night on TV). We also meet the eternally soothsaying Ghost Horse and the pilgrim James Griffin, who travels the road to Ghost Town Bridge with his talking dog, Cleopatra. 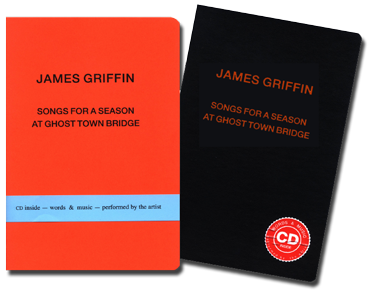 Songs for a Season at Ghost Town Bridge is available on the James Griffin Store. 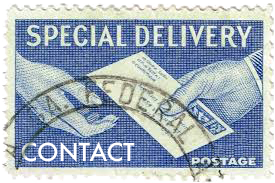 The CD/Book is also available at all James' performances or through MGM Distribution.